No, I mean, "Green eggs and ham!" When Siri was updated along with iOS 6, we showed you a bunch of ways to use Apple’s personal digital assistant the right way, like using punctuation and finding out the weather. Yet time marches ever onward, and we’ve compiled yet another five tips and tricks to help you master Siri, whether you’re looking to create a secure password or just pass the time with a few laughs. Enjoy! Have you ever had one of those Siri moments, where you ask her to search for something, and she interprets your speech incorrectly? I’m guessing all of us have, at one time or another. One thing Siri doesn’t do very well is provide for “no I meant…” error correction, at least using speech. Next time you use Siri and the result is something you didn’t expect, don’t just press the home button in frustration, but correct Siri using your iPhone or iPad keyboard instead. Tap the bubble with the incorrectly parsed text. In this case, that’s the “Where is coaster Rica” at the top. The bubble will turn into an editable text field, and you can select coaster and replace it with Costa using the iPhone or iPad keyboard. When you’ve made the correction, hit Done on the iOS keyboard, and Siri will then reply with a much better answer. Though, in my case, Siri told me where San Jose, San Jose was. Ah, Siri. Try again. Hands-free car stereo Siri says HI. Talking to Siri can be either an exercise in frustration, or a miracle of modern technology, depending on your mood and how successful the Apple digital assistant is at interpreting what it is you’re asking. Typically, when you activate Siri with a long press and hold on the Home button, the input is collected via the microphone built into your iPHone or iPad. If you have a Bluetooth accessory, though, you might not know that Siri can listen through that device as well. 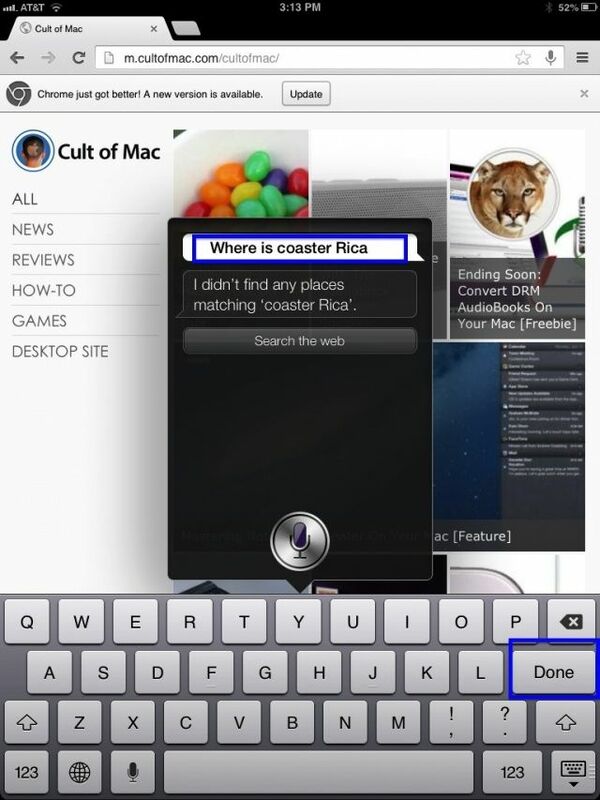 Here’s how to get Siri to do just that. First, make sure that your Bluetooth accessory is connected to the iOS device you want to use to have Siri listen to for input. Not all external portable speakers, for instance, have a mic or speakerphone capabilities, so be sure you’re using one that does, like a hands-free kit in a car, or a Bluetooth earpiece. Now, when you press and hold that Home button on your iPhone or iPad, you’ll see a glowing blue speaker icon just to the right of Siri’s typical microphone icon. Tap there, and then choose the Bluetooth device to set it as the input device. Now Siri will listen to that device to collect your voice commands, and–if the device supports it–will give you back audio feedback (“Would you like me to search the web for coaster Rica?” Sigh.) via that device’s speakers, too. Though, to be honest, I don’t think I could handle Siri blasting through my car stereo. Thank goodness my car is way older than the iPhone itself. As you may know, Siri is backed by the seriously amazing knowledge web site, Wolfram Alpha, which makes dynamic computations about your search terms based on a its own collection of built-in data, special algorithms, and other secret fancy methods. Or, to put it another way: magic. Anyway, Siri taps into Wolfram Alpha and can come up with some great stuff, like calculating tips for you, for example. 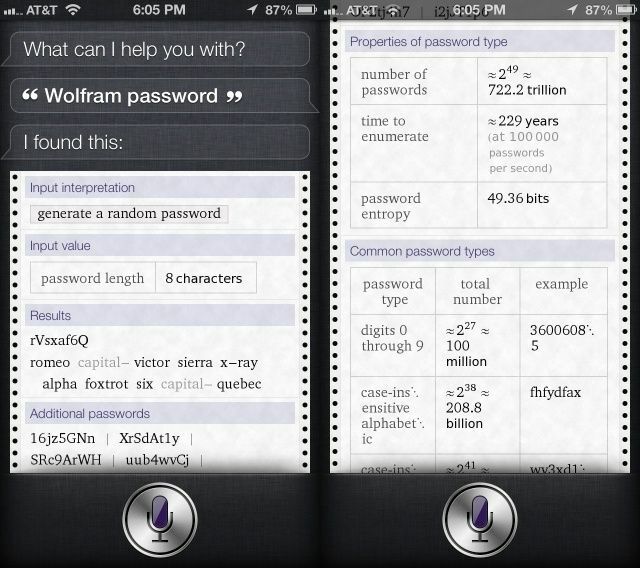 Siri’s connection to Wolfram can do even more than that, like generating a secure password for you. Here’s how. Below that, you’ll see the default password length of eight characters, followed your random password, along with the Whiskey-Tango-Foxtrot way of expressing it. YOu’ll then see an additional six other passwords you can use, along with some really cool info about the properties of the given password, along with a measure of your password entropy, a measure of how tricky it will be to guess the password, even with modern computing force. Interesting tidbit: the eight character password I generated to try this out would take about 229 years to guess, if a brute force attack generated 100,000 passwords per second. Sweet! That’s got to be more secure than the one I have now! And no, I didn’t use the one in the screenshot above for anything. Sheesh. 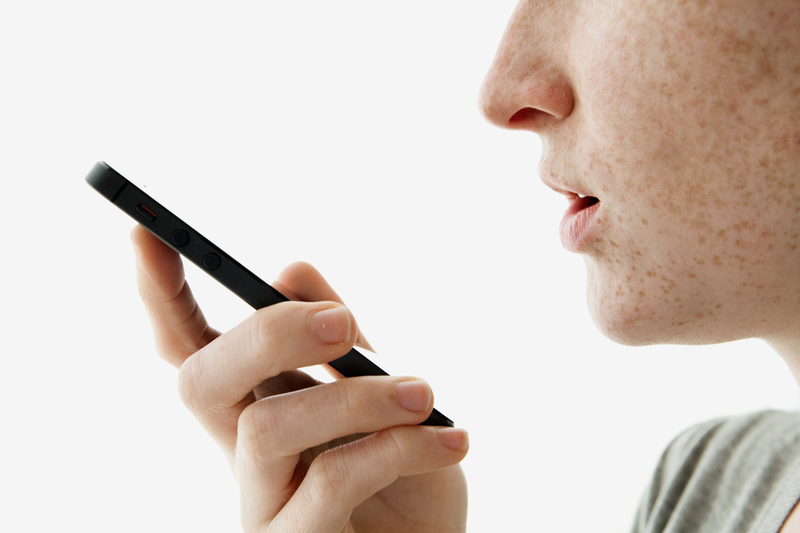 If you’ve tried to use Siri to call or text someone, you know it’s pretty simple. Just say, for example, “Call Joe Smith,” and Siri will call the person named Joe Smith in your Contacts App. But did you know that Siri can also identify people via their relationship to you? You can say, “Call my brother,” or “Text my daughter,” and Siri will call or text that person, provided you’ve done a little set-up in the Contacts app. You can also use Siri to define these relationships, so you don’t even have to open Contacts. Here’s how. Tap and hold the Home button to activate Siri, and say something like, “Joe Smith is my boss.” Siri will check your Contacts app to make sure there isn’t more than one Joe Smith. If there is more than one, you’ll have to tap the specific Joe Smith you’re talking about. Then, Siri will ask you to confirm the relationship. “OK, do you want me to remember that Joe Smith is your manager?” she’ll ask. Tap or say “Yes,” and Siri will add that relationship to the Contact you’ve defined as your own. Go ahead and give it a try; adding relationships to your contacts is a great way to make Siri even more natural. Now all you need to do is say, “Text my boss,” and you’ll be able to tell her that you’re running late. Hooray! One of my daughter’s favorite things to do with Siri on my iPhone, besides rename me all sorts of ridiculous names, is to ask it questions. “Siri,” she’ll say, “what is your real name?” Siri will reply with how she really doesn’t like talking about herself. Hilarious, right? I’m almost afraid to show her this tip, then, because she’ll now have a ton of questions to ask Siri, getting truly funny and cute responses along the way. I may never get my iPhone back. Here is a list of some of the best, but we’ll leave finding out the answers to you, and your own version of Siri. Ask Siri the following questions and she’ll give you a wry or self-referential answer. The song one is my personal favorite. * Can you make me a sandwich? * How much wood could a woodchuck chuck if a woodchuck could chuck wood? * What’s the answer to the Universe? The following will get you some interesting, funny answers from Wolfram Alpha, Siri’s data source. Apparently data algorithms have a sense of humor, as well, though it runs toward the geeky, Sheldon variety. * Where do babies come from? * When will the world end? * Is Santa Claus real? * When will pigs fly? And for the directly humorous, and down-right groan worthy fans among us, ask Siri the following questions. Be prepared to slap your knee! My current rename by my daughter? Siri now calls me “Adora Basil Winterpock.” Thanks, Wreck It Ralph.